← Shop Local Raleigh’s “Boutique Blowout” Event This Friday & Saturday! The second annual Raleigh/Durham Gluten & Allergen Free Wellness Event will be held at the Durham Convention Center Saturday August 17 from 10am-4pm. The event is open to the community, and caters to those who avoid multiple allergens, such as gluten, dairy, soy, nuts, grains, etc. Admission is $10 per adult; kids 13 and under are free, and college students receive $3 off admission with student identification. Those who purchase their tickets online are automatically entered into a drawing for a gift basket from one of the event’s sponsors. You can purchase tickets online here. Many of the hottest and newest gluten-free foods, including products from more than 20 local vendors, will fill the exhibit hall. Sampling of gluten-free/allergen-free foods begins at 10 a.m. and ends at 4 p.m. with guest speakers and cooking demonstrations rounding out the day. Products will also be available for sale, so attendees should come prepared to take advantage of show prices. Bella Monica Flatbread Company, Bone Suckin’ Sauce, Ginger Lemon Girl, Kalo Foods, The Celiac Cakery, Tonya’s Cookie Company, and Virtuous Living. Against the Grain Gourmet, Bakery on Main, Earth Balance, Kinnikinnick Foods, Living Without Magazine, Luce’s Gluten-Free Artisan Bread, New Planet Beer, and Simply Gluten Free Magazine. A complete list of participating vendors can be found on their website. The event will also feature lectures from Brandy Wendler, Lisa Stimmer, Certified Gluten Practitioner, Certified Natural Gourmet Chef, and Certified Nutritionist, Wendy Perry, Taylor Miller, owner of Glutenway blog, and Debbie Jongkind, registered dietitian. Cooking demonstrations are still being scheduled, but one will be taught by Chef Tracey Bloom of FreeCuisine. Organized by ECHO Event Solutions (ECHO), the event is sponsored by Udi’s Gluten Free, Glutino Food Group, Enjoy Life Foods, Bone Suckin’ Sauce, Earth Family, Gluten-Free Buyer’s Guide and Earth Fare. This is the second year for the gluten-free event in Raleigh/Durham, and a crowd of more than 1,000 is expected to attend. A percentage of the proceeds from this year’s event will be donated to local gluten and allergen-free support efforts. 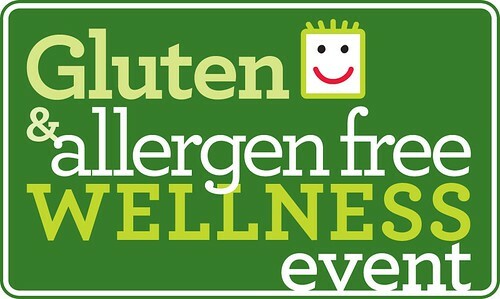 The 2013 Raleigh/Durham Gluten & Allergen Free Wellness Event will be held at the Durham Convention Center. For more information visit the website at http://raleighglutenfreeexpo.blogspot.com/ and the event facebook page https://www.facebook.com/events/394177893993190/. Can’t wait for the Event! Looking forward to meeting you! I’m looking forward to it Pam!